We’d love your help. Let us know what’s wrong with this preview of The Major Battles of the First World War by Bill Price. The battles of World War I were fought on an unprecedented scale. Both sides made use of industrial technology to inflict horrendous numbers of casualties on the other and armies composed of millions of men confronted each other in cataclysmic encounters, the like of which had never been seen before. On one side were the Central Powers of Germany and the Austro-Hungarian Empire, who were joined by the Turkish Ottoman Empire and by Bulgaria, while the other was made up of the Entente Powers, the Allies of France, Russia and Britain, together with the countries of the British Empire and Commonwealth, principally Canada, India, Australia, New Zealand and South Africa. Over the course of the war, other countries also joined the Allies, including Italy, Romania and, in April 1917, America, whose vast resources of manpower and huge industrial capacity dramatically altered the balance of power on the battlefield. Bill Price is originally from Herefordshire and now lives in North West London. After working in various areas of the UK book trade for fifteen years, he become a full time freelance writer and is now the author of ten books. Most of these have reflected his interest in the history of the nineteenth and twentieth centuries and, in particular, the First World War. 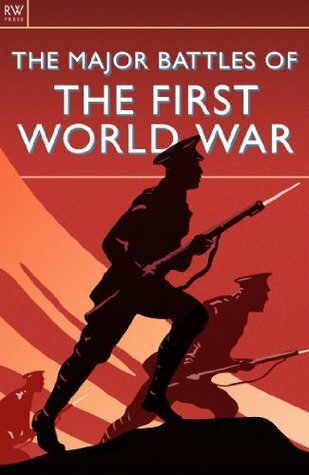 To ask other readers questions about The Major Battles of the First World War , please sign up. An easily digestible book that gives just the highlights to the major battles of WWI.